I was looking for a perfume fitting for todays holiday: Epiphany, the Day of the Three Holy Kings, as it is called here. And, to give credit where it is due, I was inspired by the blogging project We Three Kings, to look at incense perfumes with a new interest. And I am only at the beginning, I have a slew of incense based perfume samples coming, so this will be a theme you will hear more about in the bleak grey months of winter that are still ahead of us. Andy Tauer is known for his love of incense and it is through his creations I have first gotten to know it better and learned to appreciate and love it. Incense Extreme is a straight forward incense perfume, and that is how I like it. If I want incense I want to smell it as unadulterated as possible. Incense Extreme starts with a breath of coriander and petitgrain over the smooth and clear incense, the base is ambergris and woods, that retain and stabilize the incense for long hours. It is never a good idea to apply a Tauer scent and want it gone in an hour. That is not going to happen. Ever. Thankfully they are so good, that I enjoy wearing them for the long haul, twelve hours is quite the norm for any his perfumes. 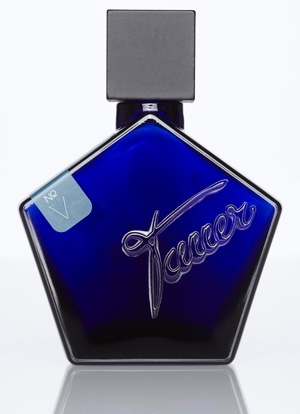 This is one perfume that doesn’t show a lot of development, it is almost linear and that is good. Incense always evokes associations of churches in me, but this is different. It is an outdoorsy kind of incense, clear, strong, but at the same time airy and not stuffy or stifling. It is perfectly unisex, not too masculine, as many incense fragrances can lean in that direction. I like to wear Incense Extreme at night, to bed. I love how it is with me whenever I turn. I am aware of its presence in phases of being half asleep, half awake (trust me my nights are not smooth sailing), which I find comforting and bracing at the same time. Incense Extreme gives me a feeling of calm, dark grey quiet, of dusk in a forest, breathing in the misty air, a column of smoke slowly spiraling upwards. Being all alone, and enjoying it. I wear it when I want this sense of contented loneliness, that is sometimes hard to come by at this (very long) moment in my life. 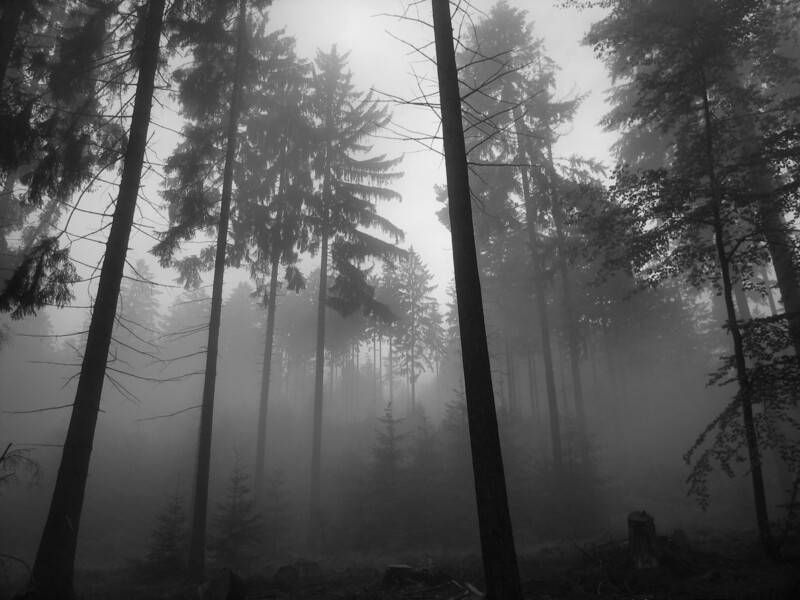 Picture Source: “Foggy Forest” wallpaper via walldigger.com, thank you! This entry was posted in Fragrance Reviews, Incense, Tauer Perfumes and tagged Andy Tauer, Epiphany, Fragrance, Incense, Incense Extreme, Perfume, Review, Tauer Perfumes. Bookmark the permalink. With the exception of Encens et Lavande, Incense Extreme is very likely my all-time favorite incense. At least until someone figures out how to recreate my Devil’s distinctive scent in ‘Quantum Demonology’…There are few words as to how beautiful it truly is, and my decant is almost gone…Calming, contemplative and yet never melancholy or pensive, it is…sanctity in a bottle, and perfect for Epiphany! Thank you for reviewing this, B! Andy Tauer is a genius. What else can we say? In which case, B, I wish you the best of luck! You might need it! 😉 Have a great Thursday – and a great Epiphany! Like you I prefer my incense straight up so while I admired Incense Rose it wasn’t for me. I’m not a fan either of the pine-like frankincense incenses like Encens Flamboyant or Avignon. Liked Kyoto very much but found it rather fleeting. (I know I’m terribly fussy) I do think Bernard D. is going to my man for incense though – lemming Dzongkha like crazy! Oh and wishing you a very happy Epiphany! Thanks for the tips, will check them out. Oh and thought of Senoma Scent Studio’s Incense Pure too. Incense is something I love too (Bois d’Encens is a perennial favorite,) so I look forward to your reviews. I have not tried this fragrance by Andy, but it looks very interesting! Looking forward to incense reviews from you, love this genre! I love this one too! I think that outdoorsy feel is part of the “tauerade” base he often uses, with ambrein. It is a calming, meditative smell but also I find is focuses me – like a walk in the winter woods! I remember that I was at the pine forest in the winter time at the night and there were resins on the trees. The smell of forest was like incense extreme. Also it always reminds foggy and dark forest when I smell it. Bravo! Thank you very much, Monsieur!